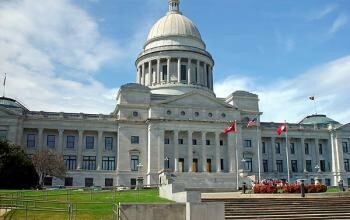 The House Committee on Education met this morning and recommended Do Pass on HB1382 that would allow the Arkansas Leadership Academy (ALA) to form partnerships with public or private entities to enhance leadership development opportunities for public school stakeholders. Rep. Bill Gossage presented the bill, and ALA Director David Cook explained that collaborating with other organizations’ leadership programs, such as those of local chambers of commerce, allows ALA to enrich offerings to its participants. HB1382 moves on for consideration by the House of Representatives. Gov. Asa Hutchinson has signed into law a provision that allows recipients of awards from the Arkansas Governor’s Scholars Programs to postpone their higher education pursuit for up to 24 months to participate in service opportunities or for family emergencies. Several state scholarship programs already included a deferral measure. HB1011 is now Act 21. Gov. Hutchinson also signed SB30, now Act 44, that changes the requirement for 10 professional development (PD) days for teachers to “no less than six days.” The act aligns the PD requirement with available funding but allows school districts to exceed the requirement. House and Senate sessions and committee meetings are streamed live and recorded. To see the process in action or to follow your bills of interest, follow the links on the home pages of the House of Representatives or the Senate. The meeting schedule is available on the General Assembly home page. Committee agendas are published online, but note that each item on the agenda may not be covered in a given meeting.